In this article I will discuss a simple fix to reduce the noise coming from the driver board fan of the Flashforge Dreamer. In my case it slightly reduced the noise level, but more importantly it significantly reduced the more annoying frequencies in the spectrum caused by vibrations. In the video below the installation procedure is covered, including some sound samples from before and after the modification. When the printer is in idle mode, while you are for example uploading your files or heating up the nozzles, the printer is already making some noise. At least some of which seems to be caused by resonance in the plastic housing of the printer. 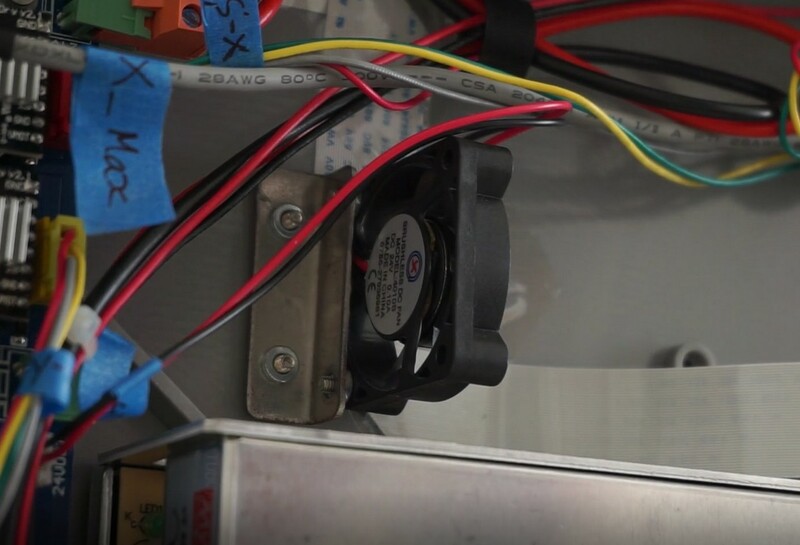 At first I thought the fan of the main power supply was blowing when the printer is stationary, but it is actually the small fan used for cooling the driver board. This fan is always on, from the moment you turn on the printer. 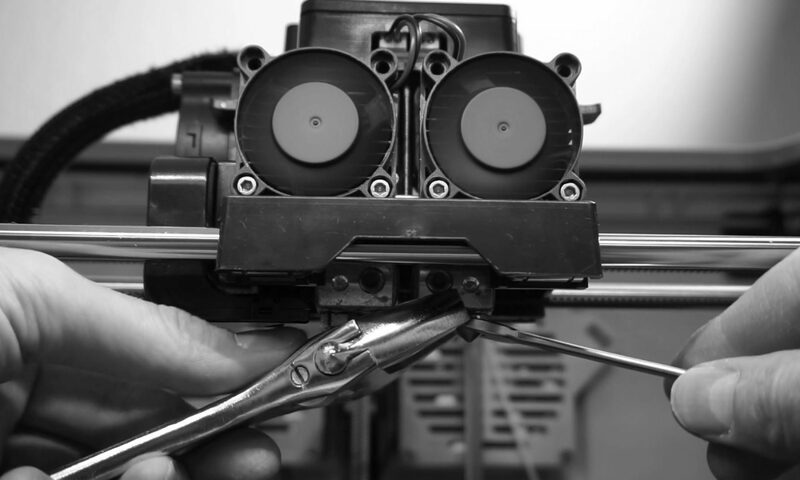 Of course, when printing, there are more sound sources like the extruder fans, stepper motors and LMUU bearings. But since all sound sources are contributing the overall sound pressure level it does make sense to look at the sources individually. I tried to keep it simple and reduce the noise level of the driver board fan without actually replacing it. It made more sense to me to look at why this small fan was generating so much noise in the first place. I suspected the fan bracket was one of the culprites. 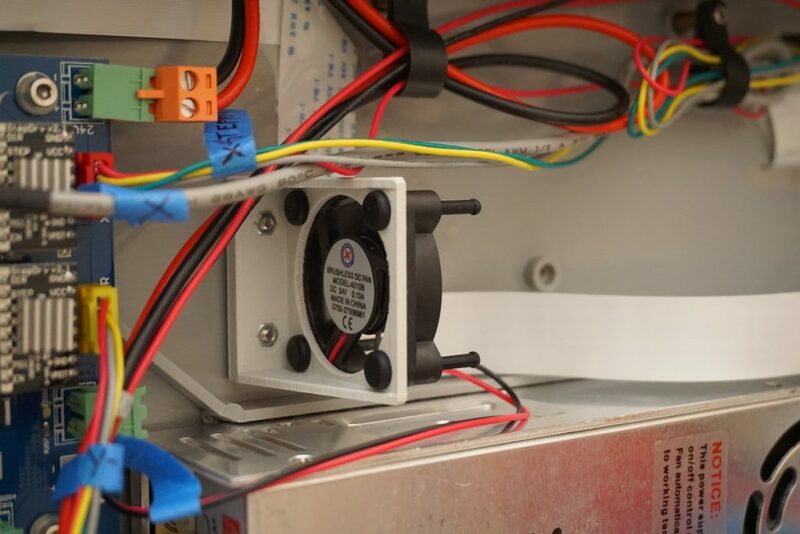 It is directly mounted to the plastic chassis of the printer, allowing the vibrations generated by the fan to be transferred directly into the bottom and side panels of the enclosure. I decided to try some rubber fan mounts to reduce the noise cause by vibrations of the chassis. Another issue is that only 2 mounting points are used causing additional vibration due to flexing of the fan body. It has to be said that even when you disconnect the fan completely from the printer it still makes quite some noise, but it sounds far less intrusive than when it is mounted. 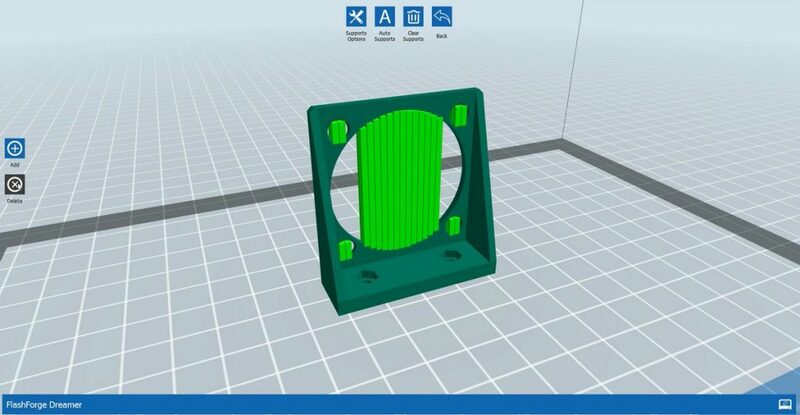 I designed a new bracket in Fusion 360 and of course used the FF Dreamer to print the new part. 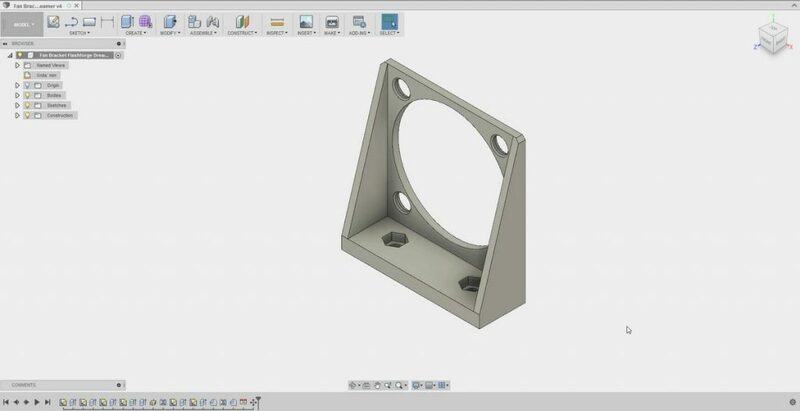 As you may know, Fusion 360 is a fully functional CAD/CAM program and free to use for hobbyists and commercial use if your revenue is less than 100.000 USD per year. The existing bolts can be used for mounting the new bracket. There are 2 cavities in the bottom with a hexagon shape, sized to acommodate standard M3 nuts. There are now 4 mounting positions for the fan in stead of 2. I took some rough dimensions from the rubber fan mounts using calipers to dimension the holes. This is not the best way to do it, but since I did not have any information from the supplier I decided to start with a slightly underdimensioned hole and to modify dimensions as needed. As it turned out later when test fitting the part, the initial design worked fine, so there was no need for tweaking dimensions. Two ribs were added on either side of the part for additional stiffness. For printing the part I used a modified PLA by Formfutura. Since the fan is always on I do not expect the maximum service temperature of the material to be exceeded. The large hole requires support when printing. For this purpose I selected the linear supports. The “auto support” function in Flashprint placed supports in all of the holes. Since supports are not actually needed for the smaller holes I deleted these manually. The cosmetic quality is not very important for this part, so I used the same extruder and therefore the same material for the main part and the support material. In the print settings I set the the layer height to 180 microns and used 50% infill. 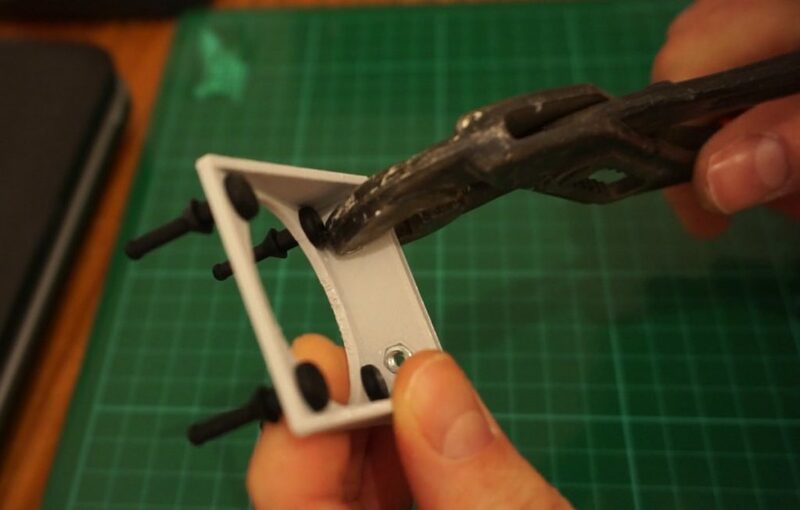 The part was printed in the upright position, to enable printing the hexagon shapes accurately without support. After printing I removed the largest parts of the support structure by hand and removed any remaining support material with a knife. The hexagon shaped cavities for the M3 nuts were dimensioned to the nominal size of the nuts, without any positive tolerance. This effectively made it a press fit, requiring the nuts to be pressed in with a set of pliers. The benefit of this is that the nuts will not fall out during assembly. I purchased some standard rubber fan mounts at a local electronics store, which only cost me 1.95 Euro for a bag of 8 pieces. The tensile strengt and elongation of this rubber material is very high. It is almost impossible to break the material by hand. 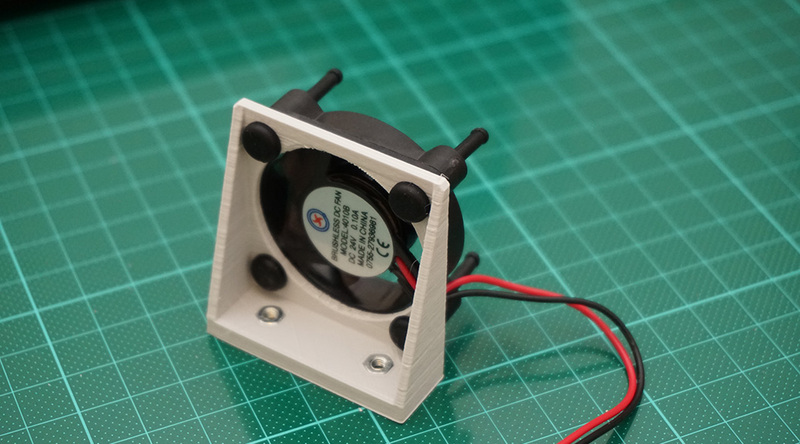 When mounting the rubber fan mounts I found it was quite hard to pull the conical section through the mounting hole in the fan. A small amount dish washing detergent was added for lubrication. It was also quite difficult to reach the rubber fan mounts with my fingers, so I used a pair of pliers to pull them hard enough for the conical section to snap into place. When the bracket is fully assembled it can be mounted back into the original place of the old bracket. The holes with the M3 bolts are at the same distance as the holes in the original bracket, so it fits without any modifications to the bottom of the printer. Let me know in the comments section if you have any questions. 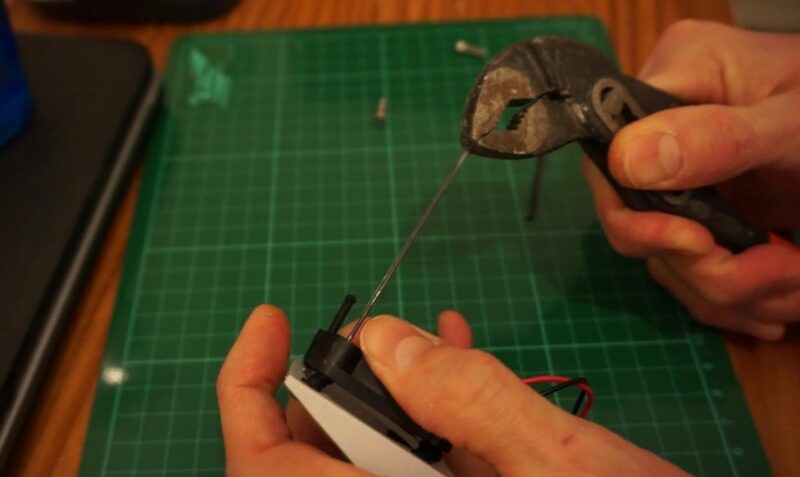 If you open the bottom of the printer for this modification or any other kind of work: be safe and disconnect the printer from the mains power!